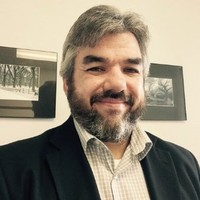 Chris Squier is the Director of Information Security for Sodexo North America. Previously, Chris had worked in the financial sector as VP for Information Security Risk for M&T Bank, a regional financial institution totaling 123 billion dollars in assets, and in Global IT Distribution as Lead Information Security Advisor for Ingram Micro, Inc. He has had the opportunity to speak on cyber threats nationally with organizations as the USDA and the Department of Defense’s Dwight D. Eisenhower School for National Security and Resource Strategy. Chris was also the former President of the Buffalo/Niagara Chapter of InfraGard, a public/private partnership for information sharing sponsored by the Federal Bureau of Investigations. Cyber security needs to be aligned with the business with accountability across the organization. Audit, risk, compliance, data and privacy are all components of proactive security leadership. Leadership needs to be in the forefront translating and communicating risk in a way that resonates with the business stakeholders. Cyber security is just one responsibility of the CISO, with high profile data breaches in the evolving regulatory era, communication with the board and the rest of the C-suite is paramount. CISOs must shape the message and methods to address unique organizational dynamics and instil security awareness as a part of corporate culture. Security needs to be seen as adding value not just meeting compliance requirements.